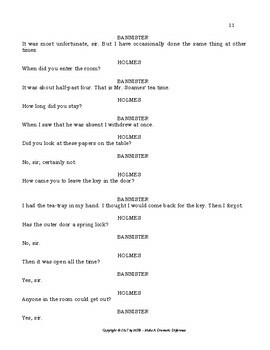 READERS THEATER SCRIPT: Sherlock Holmes, "The Adventure of the Three Students""
MAKE A DRAMATIC DIFFERENCE WITH READERS THEATRE! Want to improve your students’ reading comprehension, reading fluency and expand their vocabulary and word choice? Research shows Readers Theatre is the perfect tool for assisting young people in bettering their overall reading ability. 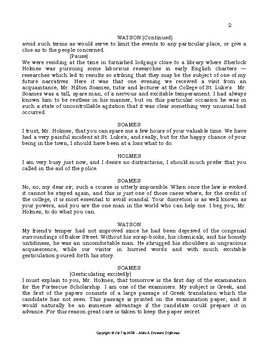 The reading experience is heightened, and students more readily project and interpret the meaning of text with the acting and reading of dialogue aloud. Plus, retention, comprehension and vocabulary all improve accordingly. Reading role models are formed and recognized when students read in small groups and consequently reading skills are greatly improved. 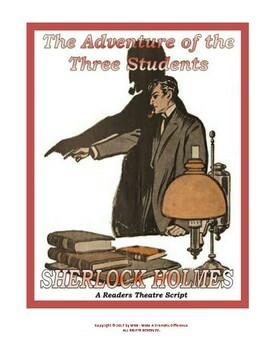 Readers Theatre Script: The Sherlock Holmes Series, Arthur Conan Doyle's, "THE ADVENTURE OF THE THREE STUDENTS faithfully dramatized and adapted by Broadway, Film and Television veteran Michael Blevins. 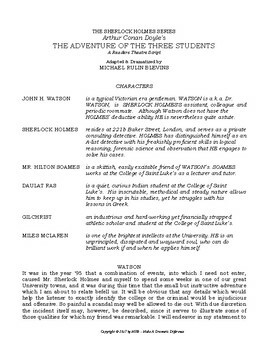 Sidney Padget's original color illustrations are included as is a scan of the first page of Arthur Conan Doyle's handwritten manuscript for "The Adventure of the Three Students".